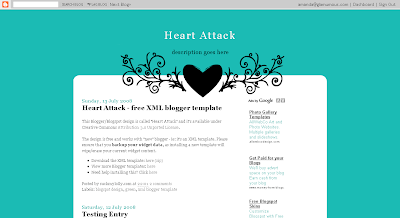 sharethis: If you are looking for a fresh and beautiful design to complement your Blogger blog, here is a treat in store for you! 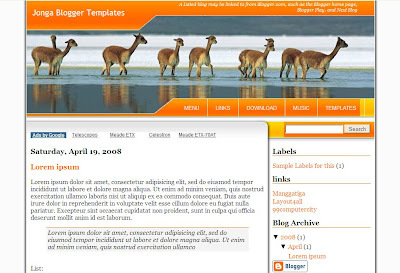 This list of 125 free Blogger templates features some of the most beautiful and functional designs for Blogspot that I've ever seen! 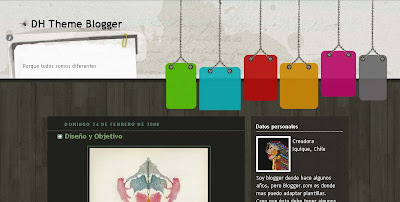 I have organized this list by style with links to the demo and download pages to help you find the perfect design for your blog, and hope you enjoy this inspirational list of Blogger templates as much as I did in finding them! This selection of free Blogger templates are colorful, beautiful or ornate and are guaranteed to make your blog have a strong visual impact. I was so amazed to see this beautiful theme appear in my feed reader today! 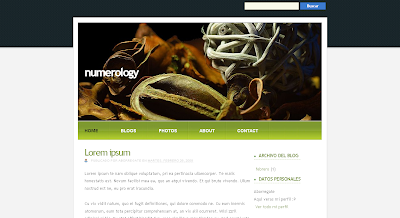 This is a stunningly beautiful template with three columns and icons beside important links. 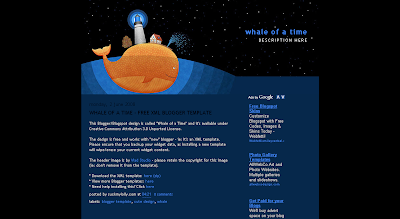 Based on the original theme by Templates4all.com. 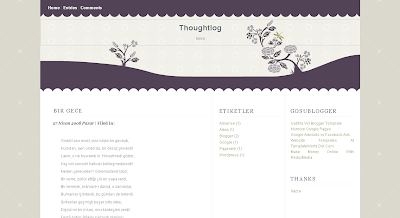 A simply stunning Wordpress conversion from the original design by Lorelei. A simple but effective template with a left-hand sidebar. 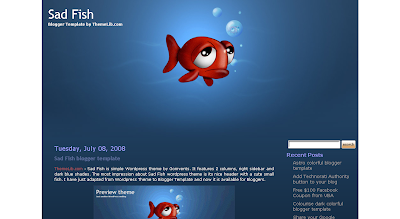 A fresh and lively theme, converted from the original design by WP Free Themes. This distinctive two column template features integrated navigation tabs and a unique calendar style. This vivid three column template was converted from the original Wordpress Theme and features a beautiful background image which would be ideal for artistic or feminine blogs. 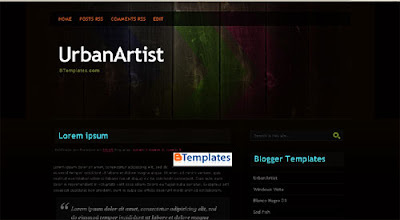 A colorful and beautifully stylized template with an ethereal theme. 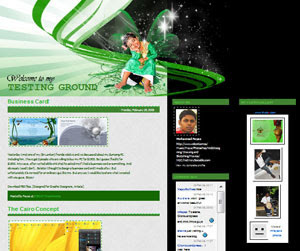 Converted from the original WP theme which was designed by UnoDesignStudio. 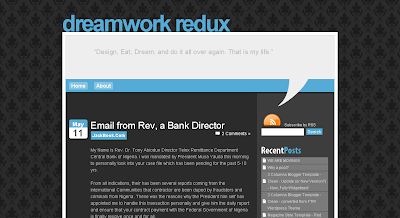 A subtle two column theme, based on the original design by Free CSS Templates. 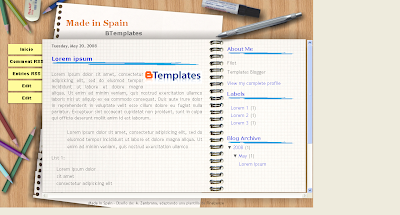 This is a truly awesome template with many sections in the footer and stylized throughout. Converted from the original WP theme by Far From Fearless. 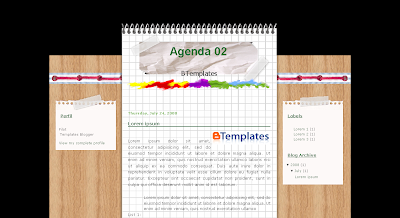 A three column template with a notepad style appearance. 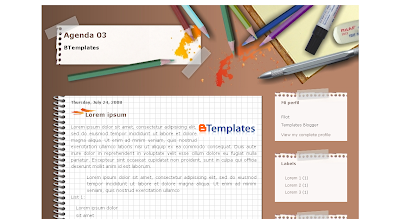 This template is styled like an artist's desk and is a wide two column layout. 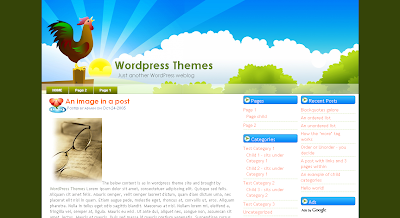 This rustic theme is a two column design with a beautiful header image. This two column template has an orange color scheme. Sorry there's no demo blog for this one, but from the screenshots it looks very good. This tasteful theme is in hues of dark red. This single column template has a feminine appeal and is perfect for photobloggers. 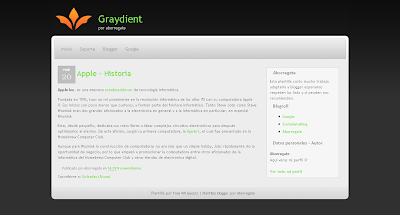 It includes a widgetized footer section for ads and other content, also a navigation bar for your important links. 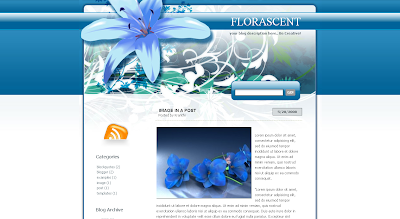 A beautiful blue toned theme with one sidebar to the left and floral design in the header. This beautiful template has an ethereal presence. 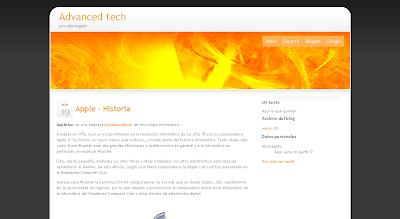 A bold three column theme with centralized navigation buttons beneath the header. An elaborate and original two column design. 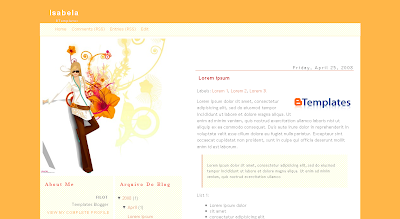 A truly stunning and colorful design with tabbed navigation in the header and a built in search function. Originally designed by NotSoBoringLife. Here is a great example of how beautiful imagery in the header can totally transform a basic design. 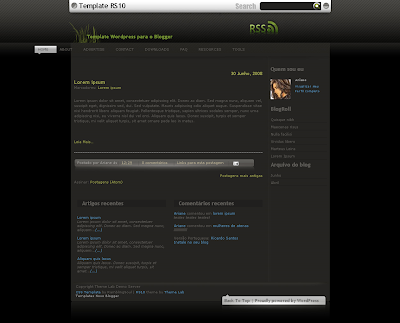 An elaborate fantasy theme with two sidebars to the right. 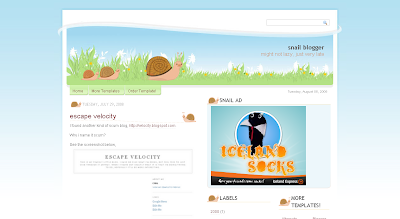 Snail is an invigorating theme with split columns in the right hand sidebar. Converted with permission from the original design by Cinila. 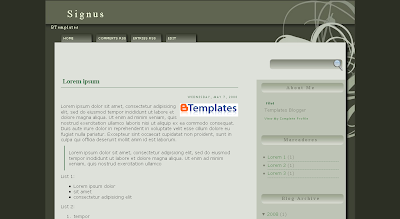 A narrow, two column theme with a vivid header image. A simple two column theme with an aquatic feel. A beautiful theme which includes an integrated navigation bar and calendar icons. Based on the design originally by Ophelia Nicholson. How stylish is this theme? 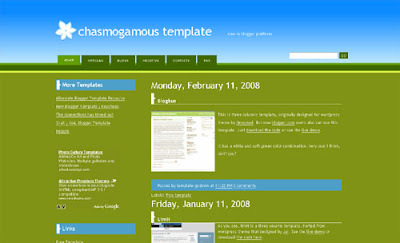 It features a two column layout with integrated search function, and is converted from the original template by Styleshout. 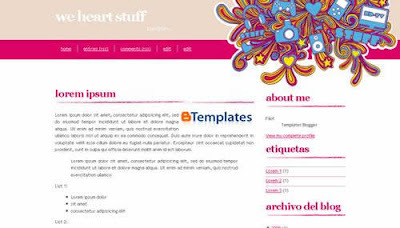 An ornate and colorful three column template, based on the original design by Web Hosting Geeks. 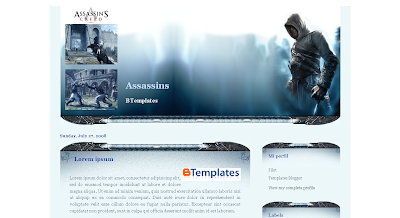 A two column template themed on the popular video game, Assasin's Creed. 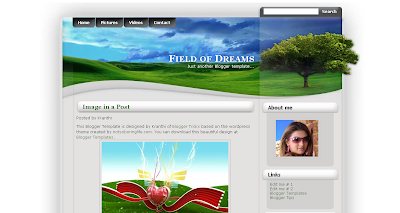 A stunning template which was converted from the original WP theme. 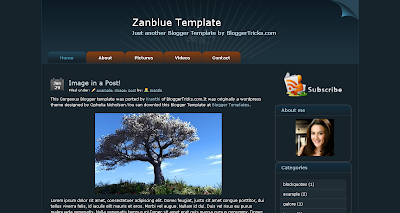 This selection of Blogger templates use a dark color scheme. Stunning use of color and many great features make this one of the best dark Blogger templates I've ever seen. Based on the original design by Vinh Le. 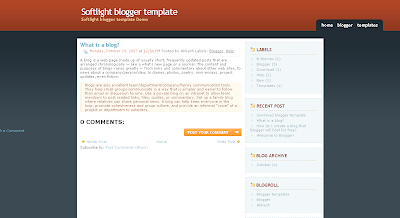 A smooth dark design with pale area for the main blog content. I love the contrasting colors in the header logo which really sets this theme alight. 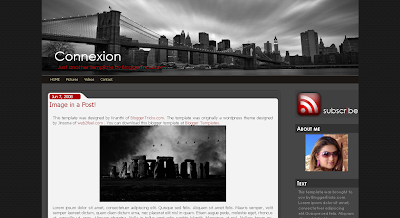 Converted from the WP theme by Free WP Layouts. Adapted from the Wordpress theme by Chiq Montes, this dark design features a wide sidebar and integrated navigation links. This dark theme is based on the Minima template, but includes a much wider area for posts. 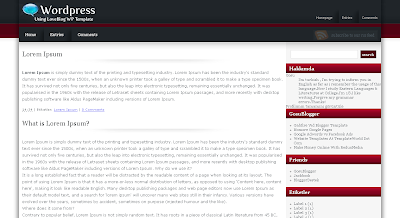 Sidebar titles are highlighted in red, and the layout is hugely customizable. 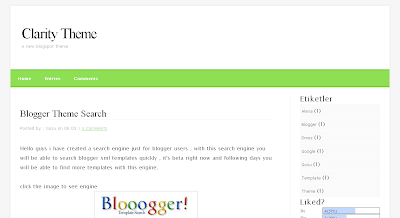 A wide two column theme with integrated navigation and search, plus mouseover effects in the sidebar. 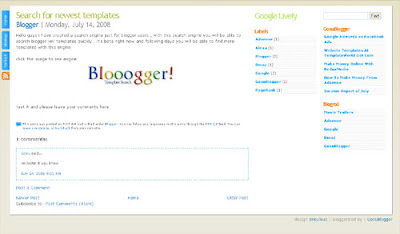 Converted from the Wordpress theme by Blogging Tips. This template makes stunning use of color contrasts and has a segmented footer for extra widgets. A simple but professional dark template, ported from the original design by Hive Designs. A stunning conversion from the original WP theme by Jinsona. 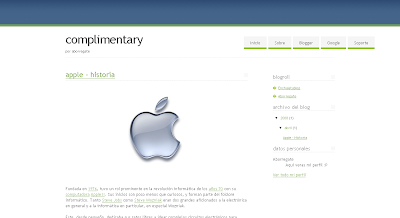 Includes a navigation bar, built in feed and bookmark icons, and a wide posting column. Also available in three column format. An original design with two column layout. 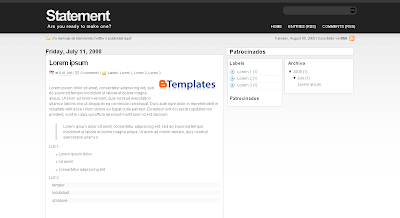 This dark two column theme highlights sidebar and title headings in vivid colors. Based on a design by Free CSS Templates. 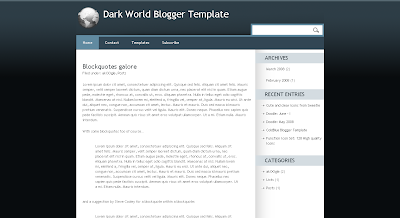 A stylish dark template with three columns which is converted from the theme by Quality Wordpress. Perfect for Apple lovers! A delicious dark theme with mouseover effects and stylish widgets. Based on the WP theme by Ophelia Nicholson. This three column layout is enhanced by the choices of color. Kranthi has done an excellent job of converting this beautiful dark theme. 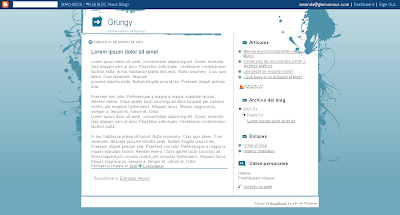 It features an integrated search function and feed icon in the header, with spaces for ads and two sidebars on the right. Converted from the original design by Jinsona. 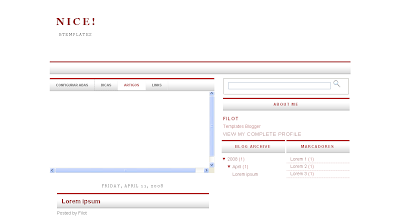 This two column template is very easy on the eyes, and includes navigation links and calendar widgets for post dates. Based on the original design by iWebNet. An unassuming theme with plenty of options for customization. This narrow two column theme is remarkable. 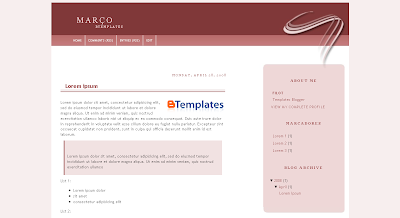 It features a great color scheme and stylized sidebar headings. Converted by the original theme by Dark Faery Tale. In shades of gray with a vector style background. An outstanding two column template with plenty of color. 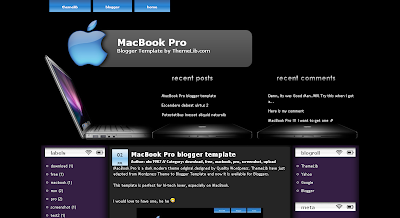 Ported for Blogger from the original design by WPGalaxy. 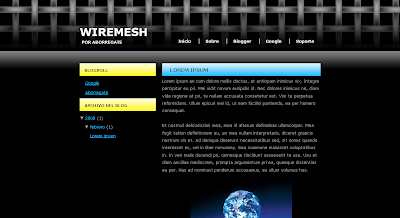 A dark themed template with well styled navigation and segmented columns in the footer. Converted from the original design by ThemeLab. 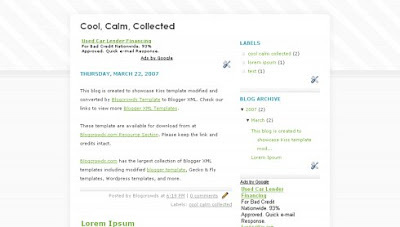 A three column template whcih features a highlighted sidebar to draw attention to important content. A delicious dark theme with a wide sidebar and many built in features.Based on the original template by Styleshout. 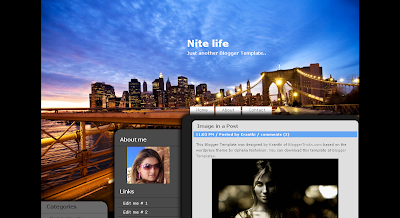 A stylish cityscape theme with integrated navigation beneath the header. Based on the original theme for WP by Jinsona. A three column theme with plenty of space for ads. Based on the original theme by Gabfire. 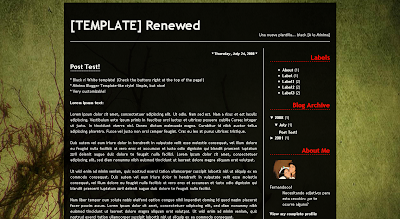 A stunning dark two column template, converted from the original WP theme by Themebin. This style of template offers a simple, clean appearance with few (if any) images. 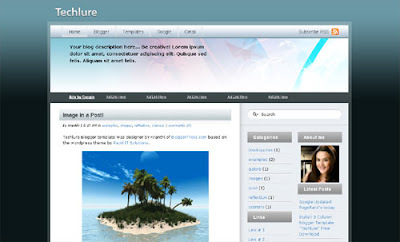 A professional style theme with two sidebars to the right of the main posts section. 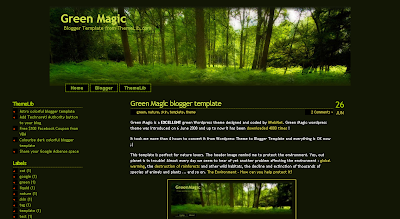 Based on a theme designed by Free WP Layouts. A fresh inviting theme with three columns. Converted from the original theme by Darren Delaye. 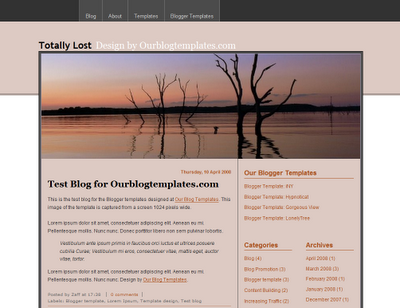 While this template may have a minimalist layout, I think the overall design is beautiful. 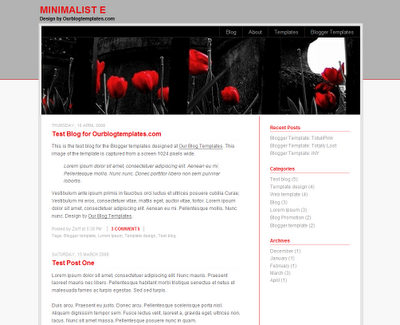 The epitomy of minimalistic blog design! An exquisite template with mouseover effects. A basic canvas on which you can impress your own customizations. This layout includes two sidebars to the right of the main column, and is very easy to use. 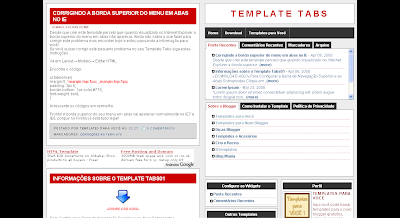 A fuss-free three column template with iconized links and integrated search function. Based on the original design by BlogOhBlog. Note: Many pages on Zona Cerebral are currently unavailable, so I have linked to the mirror download location on BTemplates until the links are fixed. A fresh two column template with integrated navigation links. 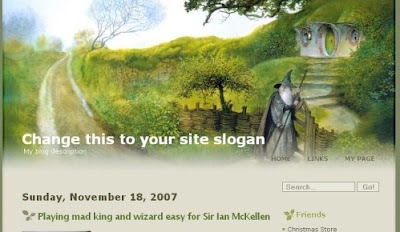 This minimalist design features an excellent choice of typography. It includes navigation links and an integrated search function. 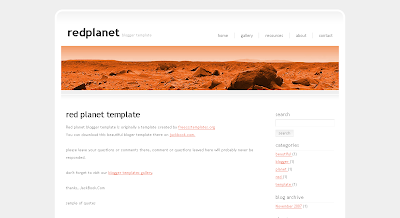 Based on the original theme by Free CSS Templates. 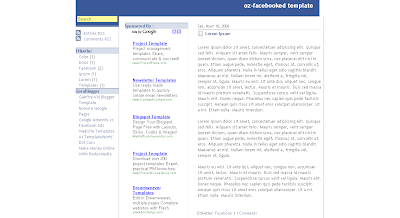 Based on Justin Tadlock's excellent theme, Facebooked is a three column template in the style of this popular social networking site. I love this three column, grid based theme which is based on Oh My Grid by Thomas at Orangescale. While using only monochrome colors for the overall layout, it becomes incredibly functional with the unique header layout, ads section and search function below the header. Be sure to check this one out for a truly professional and unique appearance for your blog! 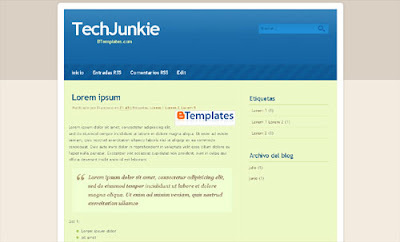 This clean template has a fluid main posts column and a unique sliding tabbed navigation widget in the left hand side. Converted from the original theme by Ericulous. 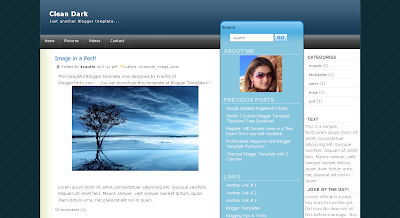 Beautifully simple, this theme features a fluid layout which expands to fit the size of the reader's browser. Here is a selection of pretty feminine designs in various colors and styles. Feminine and flirty, this pink toned theme includes two columns with navigation beneath the header. 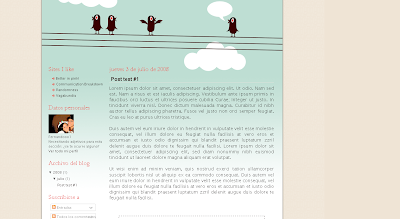 A beautifully designed feminine theme with a two column layout. 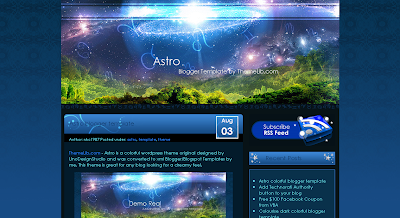 A simple blue theme with elaborate header. A three column design in shades of lilac. 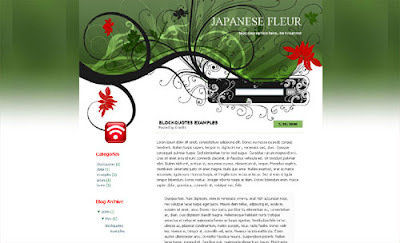 Converted from the Wordpress theme designed by Scribble Scratch. A simple, professional and feminine theme. A beautiful two column template with a subtle floral theme. A fresh feminine theme in pale blue. 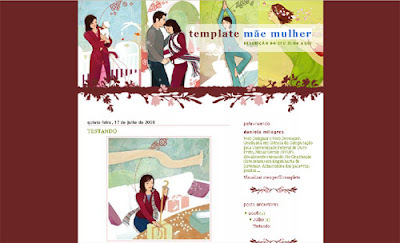 The sidebars in this feminine layout are aligned beneath the vector image on the left. Pink and girly, this template would suit any shoe-lover! 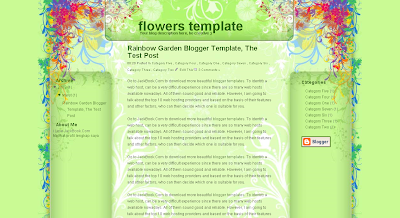 Converted from the Wordpress theme by Better in Pink. 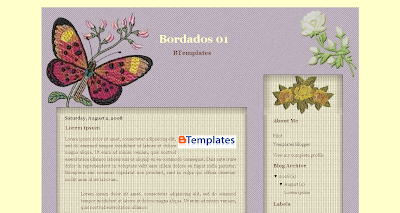 An embroidery style template with pretty flowers and a butterfly in the header. 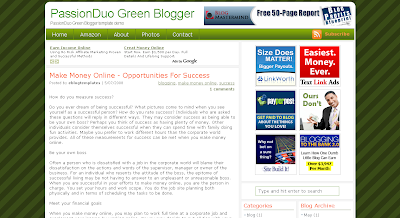 Clean lines and effective layouts make these designs suitable for business and technical blogs. Simple and elegant, this template was converted from the original theme by StyleShout. 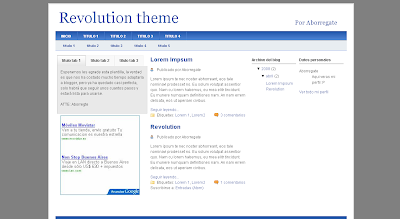 An elegant two column theme with contrasting sidebar. Ported from the original theme by Just Skins. 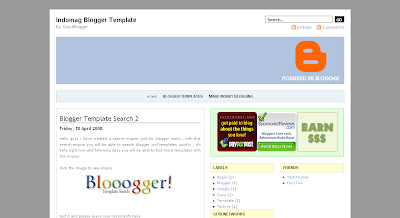 A wide two column template with calendar widget and integrated search function. 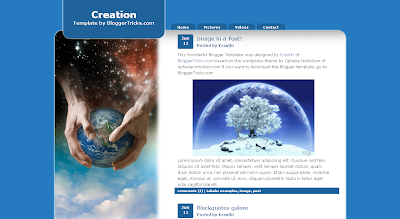 Converted from the original Wordpress theme by Kailoon. 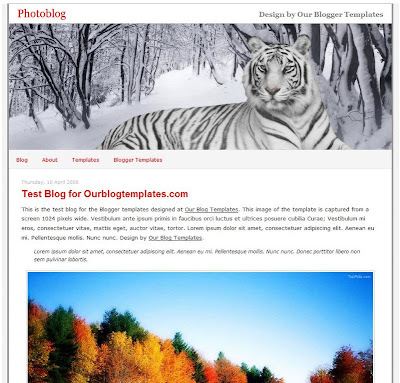 Based on the original theme by Padd IT Solutions, this three column template offers a fresh professional layout which is ideal for technology related blogs. A simple and professional theme with a built in navigation and search bar. 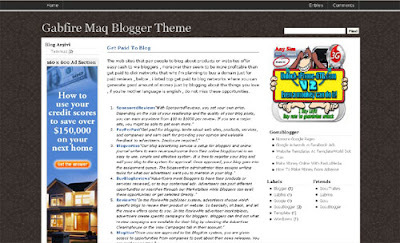 This professional magazine style theme is based on the premium theme by Magznetwork. 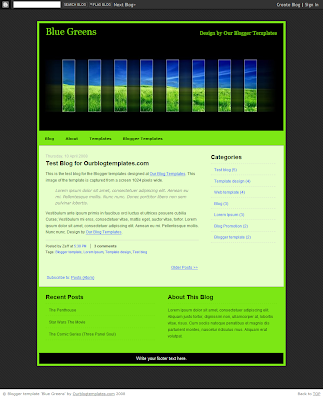 This three column theme is ideal for a technical or business blog. It includes integrated navigation links and a themed feed icon beneath the header. I like the modest style fo this wide two column theme which includes a navigation bar and integrated search. Based on the theme originally designed by ThaSlayer. 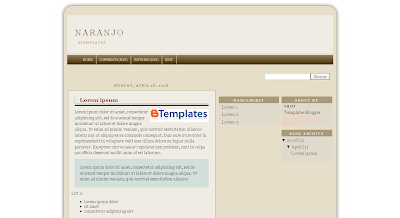 This graceful template uses a two column layout with tabs for important navigation links. Based on the WP design by MakeQuick. 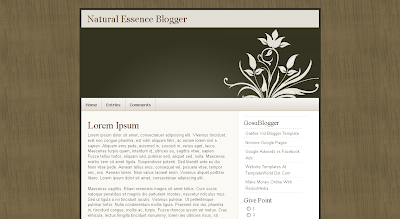 With rounded corners and a three column layout, this beautiful template is sure to be useful for any blog niche. 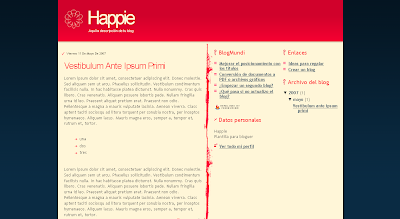 A vibrant two column template converted from a theme by Free WP Layouts. This simple two column layout is designed in hints of green. Based on the original design by Node33. A jaw-dropping design with oversized header and great color scheme. 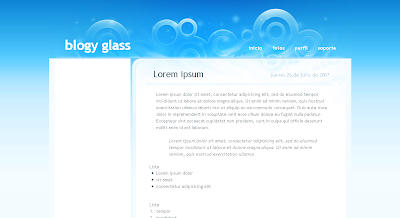 Converted from a theme designed by Free CSS Templates. 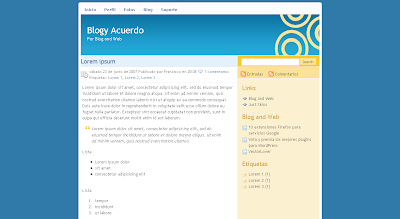 This stylish two column layout includes an integrated search function and navigation bar. Based on the original design by Keedie.net. 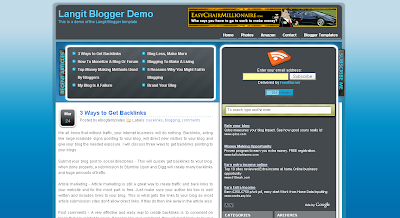 This ad-ready theme was originally designed by DesignSaurus for Daily Blog Tips, and has been converted for Blogger by eBlog Templates. 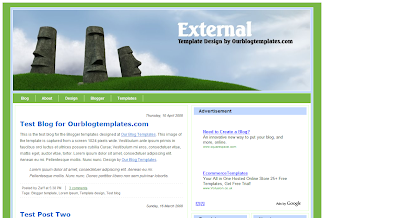 This theme features many spaces for ads and banners, and is fully widgetized. 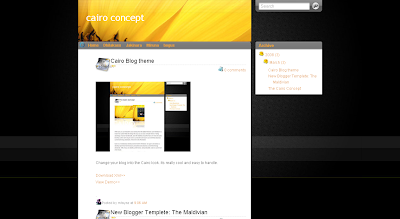 Please note: you must register a free account with eBlog Templates before you are able to download this theme. Bright colors help this three column theme to stand out. Simple but so functional, this template has a wide area and two columns below in the right hand sidebar. 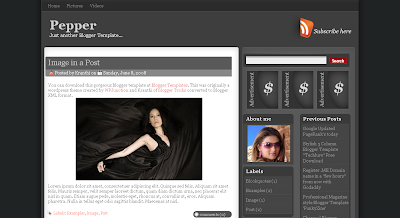 The recent web design trend for magazine style layouts has found its place in the realm of Blogger template design. 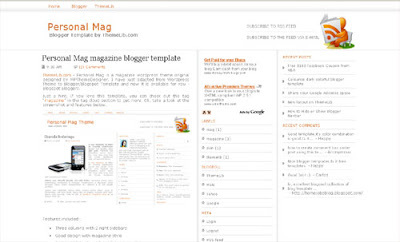 Here is a selection of some magazine style templates for Blogger. Here is another template which will wow you! Based on Justin Tadlock's fabulous theme for Wordpress, this Blogger conversion includes everything you could expect from a magazine style template. To say I am impressed is an understatement! 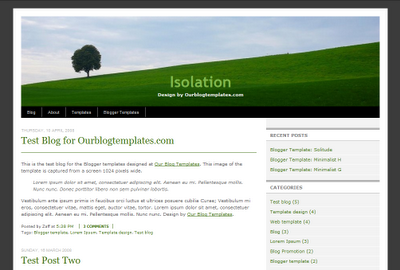 This layout features many different areas for widgets and comes complete with tabbed navigation in the wide sidebar. If you're at all interested in theme and web design, chances are you will have heard the name Brian Gardner before. 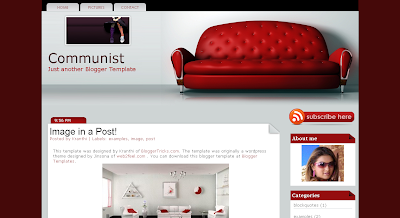 This Blogger template is based on one of Gardner's most famous templates for Wordpress: Revolution. 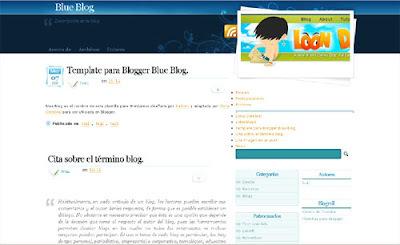 It includes a magazine style layout and translates almost perfectly for Blogger! 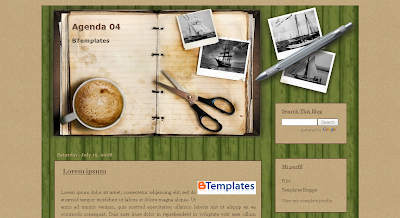 Certainly a professional style theme to check out. 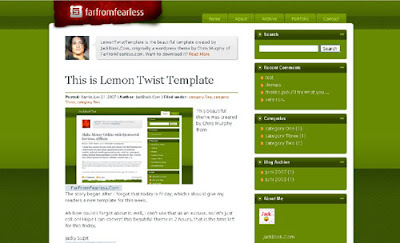 Converted by the beautiful theme designed by WP Theme Designer, this excellent template features a wide layout with two sidebars on the right. 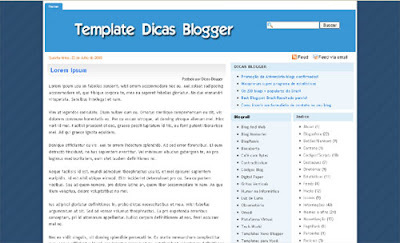 GosuBlogger uses this template for his own blog which proves this is an excellent design to use. I consider this a magazine style template as it includes many different areas for widgets and includes a navigation bar in the header. 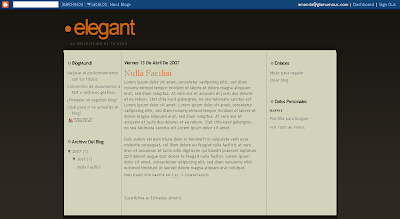 A simple magazine style theme with tabbed navigation above the main posts section. 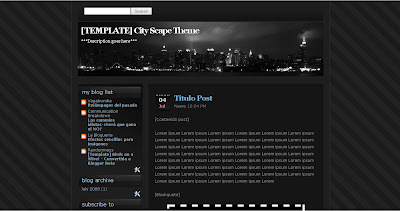 These Blogger templates feature a landscape or cityscape image in the header: an increasingly common trend in blog template design. A striking landscape design with a wide sidebar to the right and integrated navigation. 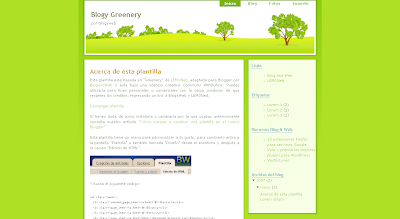 A two column theme in shades of green. Ported from the original design by LEMONed. 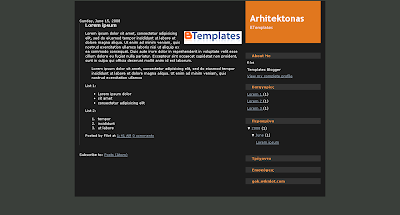 This outstanding dark theme features a sidebar to the left of the main column and stylized CSS for block quotations. Converted from the original theme by Tutorial Blog. 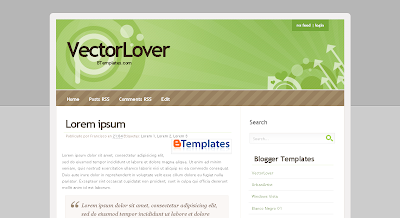 A narrow two column template with a beautiful header. 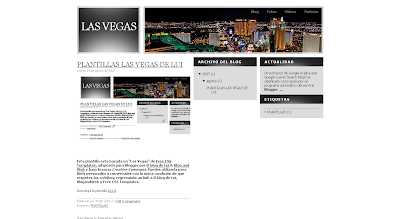 Features a stylish cityscape of Las Vegas beside the narrow header title. Adapted from a template by Free CSS Templates. 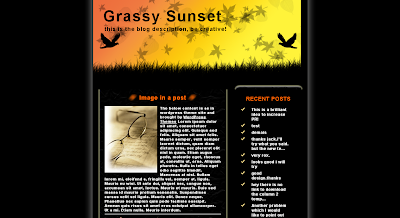 This urban theme is based on a design by Ophelia Nicholson, and features three columns with a stunning header image. 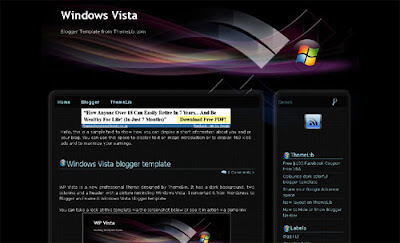 A wide two column theme with transparency across the header image. 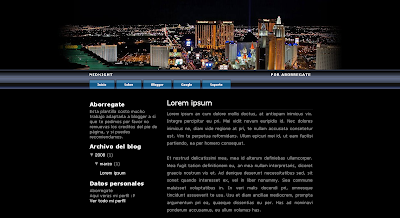 A dark yet colorful cityscape theme, adapted from a design by Free CSS Templates. 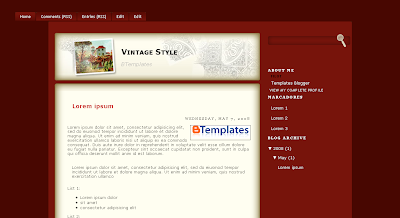 A classic two column theme with three columns in the footer. 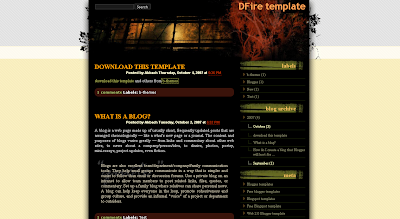 Sorry there is no demo blog available for this template, but you can see the full layout on the download page in a full length screenshot. While these templates don't fit neatly into any of the other groups above, all are remarkable designs and deserve their place on this list! The grunge style of modern web design is toned down in hues of blue. A fresh and simple theme which was converted from the WP template by Better In Pink. This earthy toned design is simple and elegant. Here is another jaw-dropping template which really must be seen in action. 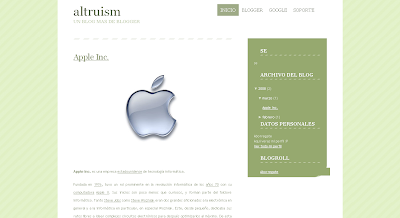 This remarkable design is the first Blogger template specifically designed for viewing on the iPhone (or other handheld devices). There is also CSS for viewing in a desktop browser which can be downloaded from the iBlock site. 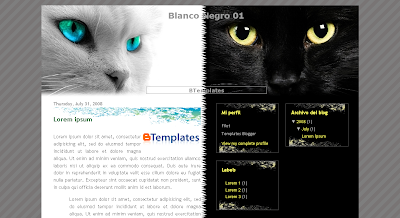 A striking black and white template with two sidebars on the right. 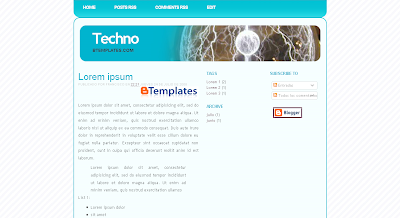 This simple three column template features a beautiful header image and sidebars to either side of the main posts column. 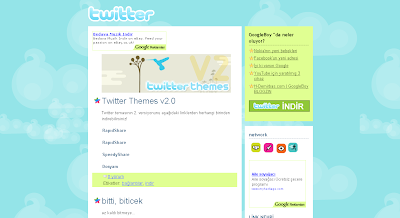 Perfectly styled, this Twitter theme offers a clean and funky way to present your blog. 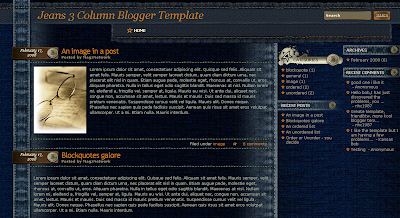 A three column template with a denim style background and stylish headings. 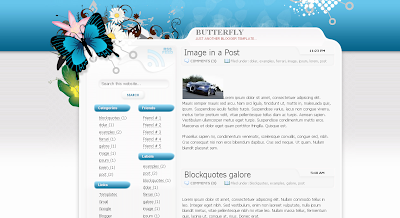 A beautiful one column theme which is ideal for wide images. Kranthi describes this as a niche template, though with a slight change to the image in the header, I'm sure this could be made suitable for almost any style of blog. I love the color scheme (red is one of my favorites to be seen in web design) and the clean lines make for a professional appearance. This template is based on the original design by Jinsona. 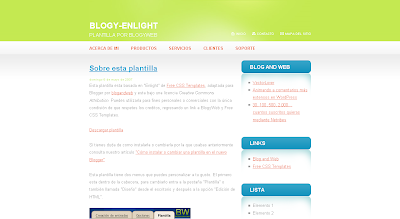 Many of the designs featured in this list are conversions of Wordpress and CSS based designs. Wherever possible, I have given credit to the original designer of these works, and also to the person who converted/designed these templates for Blogger. Please let me know if I have made an incorrect attribution and I will edit this article accordingly. I hope you have enjoyed looking through these beautiful and inspiring blog designs! Please let me know about your favorite Blogger templates and your opinions of this article by leaving your comments below.